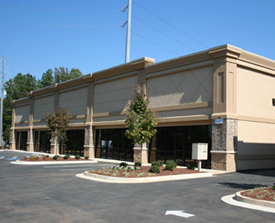 Specializing in design / build services, Prime Construction provides customized, turnkey solutions for commercial, light industrial, church, residential, and many other construction projects in Atlanta and throughout Georgia. Our expert staff has worked in a number of different capacities within the construction industry, including as an intern architect, developers, building owners, and more, giving us a unique perspective and insight that is unmatched. By using these experiences, we are able to take a well-rounded approach to your Atlanta area construction or remodeling project, taking even the smallest details into account to ensure that the building perfectly meets your requirements, both now and in the future. Rather than focusing on just the cost of initial building supplies, Prime Construction considers the total or overall cost of a building over its life-cycle and provides you with a detailed, pre-construction cost analysis report. By accounting for every detail of your home or commercial construction project, right down to the cost of replacing materials such as carpets as the building ages, we can give you an idea of the structure’s true price tag, which is frequently quite different than the initial cost to build. Using this knowledge, you can then make better-informed decisions in regard to materials choices, and you won’t be caught off guard later on. From high rise office buildings to medical facilities to single family homes and more, Prime Construction has experience with a wide range of residential and commercial construction throughout Atlanta, Georgia and beyond. Our expert team has managed hundreds of jobs over the past 15 years, and they understand the delicate balance between completing the project on time and making sure that that it’s done properly and adheres to your requirements. At Prime Construction, we have one simple main goal: to make your building project a success through superior service, creative thinking, and attention to detail. 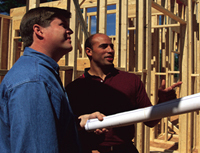 When all is said and done, we want to meet or exceed your expectations for your Atlanta area construction project.